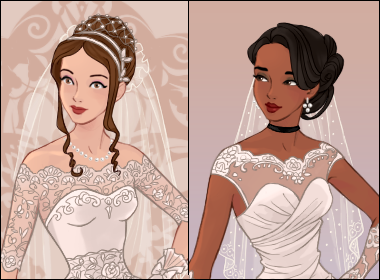 Create your own wedding dress with this beautiful dress up game! 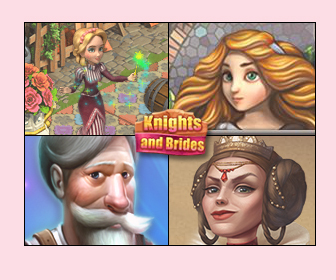 Choose from many styles of skirt: princess ball gown, A-line, empire, sheath, mermaid, tea-length... Match with a top and choose how it connects at the waist. Customize with sleeves and belts, then with veils, hair accessories, gloves, flowers and jewelry. The smaller buttons at the very top are shortcuts to the first page (the face menu) and the drag n drop page.